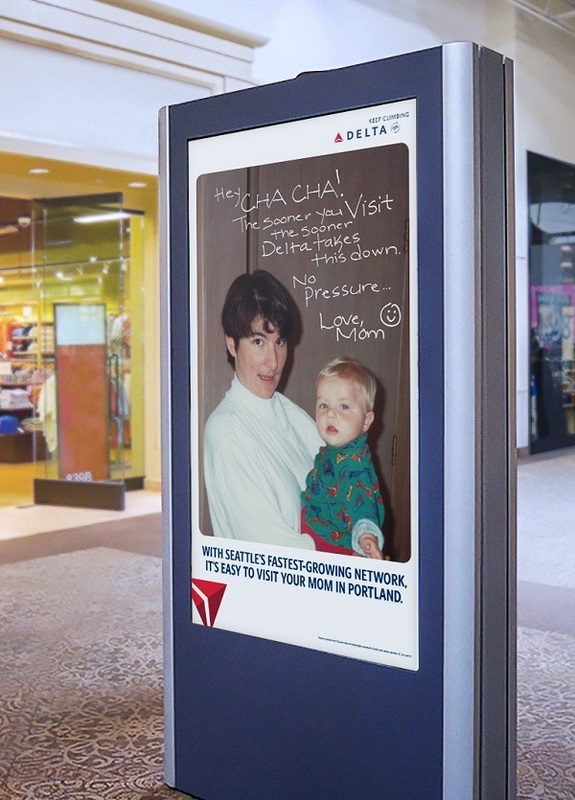 Delta Airlines is giving an opportunity for adults living and working in Seattle to visit their parents back home with its latest growing Seattle network. 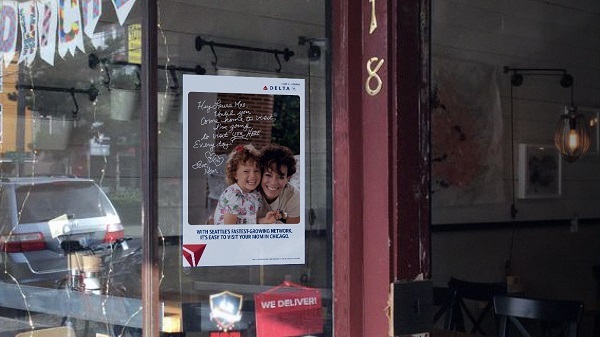 Together with Wieden & Kennedy New York, the campaign shows personal messages from real moms reminding their children who live in Seattle to come home and visit. The ads show moms hiring lookalikes to prank their children who are working in Seattle. One of the videos on its website sees mother Shari Glaser from Michigan pranking her daughter with a troop of lookalikes, who patronize her daughter’s workplace and hand her a plane ticket to visit her mom back home. 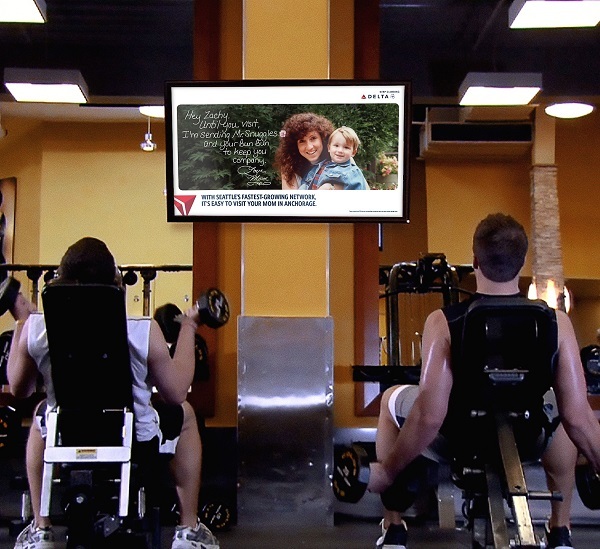 These messages come with a photo showing a mother and her child that will be posted across Seattle.